Our "MUrDuck 1/8 wave duckie" performs much better then the standard Icom ICT7e dualband duckie but does not beat a the quarter wave Kenwood dualband telescopic antenna. Binnen de afdeling wordt sinds 2000 gewerkt en geëxperimenteerd met de "slappe Arnold" antenne. Uiteraard willen we het ontwerp niet voor onszelf houden maar wat meer bekendheid geven. 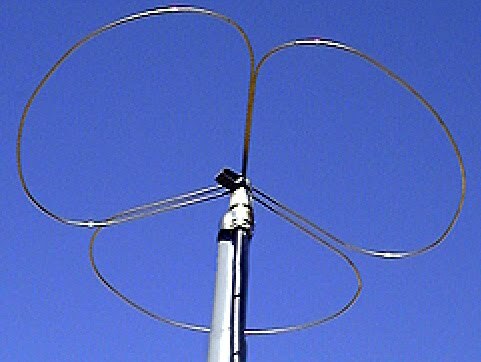 This halo antenna was built to have an omnidirectional coverage while working in VHF contests. The idea was to have a small but useful antenna for receiving, but it has demonstrated very capable on TX also. At VHF, both the 1/4-wavelength monopole and the 5/8-wavelength monopole antennas are widely used. The VHF 5/8-wavelength (144 Mhz) vertical monopole has long held the reputation of providing about a 3-dB gain advantage over the 1/4-wavelength vertical monopole. This page is the first part of my VHF Collinear antenna project, wich gives a gain of about 5,1 DBi with 2 dipoles and 8,1 DBi with 4 dipoles (Omni directional). This page is the second part of my VHF Collinear antenna project with matching-system for 2 dipoles model (Gain = 5.15 DBi). Perhaps the biggest problem with taking your HT bicycling is coming up with a decent antenna on your bicycle. This is because the bike doesn't provide much of a ground plane. Dit is ook een leuk knutsel onderwerp, een oprolbaar antennetje voor 2m en 70cm, handig voor op vakantie en zo. Met in het achterhoofd de zg. "Townsman antenne" heb ik iets dergelijks bedacht volledig gemaakt van RG58. Most terrestrial DX activity on 144MHz uses SSB, CW or digital modes and horizontal antennas. For someone like me who doesn't want to invest in a large Yagi array and a big rotator to turn it, thoughts turn to omnidirectional, horizontally polarised antennas. My operation is mainly working locals, the occasional contest and during tropo lifts. Hier een beschrijving van een goed werkende, flexibele en lichte 2m halvegolf antenne, zeer geschikt voor porto's. In vergelijking met de gemiddelde rubberduck antenne mag gerekend worden op zo'n 2S-punten winst. The “Slim-Jim” is a bit of a classic – building one is almost certainly a rite of passage and you’ll be glad that you did: It’s easy to make, fairly easy to tune and rolls-up for transportation. De werking van een fietspompantenne is te vergelijken met dat van een ZEPP antenne. Het kan beschouwd worden als een hele golf (1λ) dipool waarvan de helft (= ½λ) opgevouwen is. Walk about freely with this pedestrian-portable antenna. Use it for better coverage at a parade, a bike-a-thon or just on a stroll. Alternately, hang it in a tree or mount it permanently. Its utility will impress you. It is also an ideal low-cost ham radio club project. I had a problem with my packet radio station and decided that antenna gain was the solution. So now I have a 6dB gain VHF colinear. This project is about a cheap way of building a colinear antenna for VHF 145MHz, and having about 10dB more gain than that little 1/4-wave magmount I have not used for 6 years. The actual gain of this antenna is +7.5dBd. It consists of five half-wave dipoles, four of which are end-fed by means of a 1/4-wave stub to invert the phase. 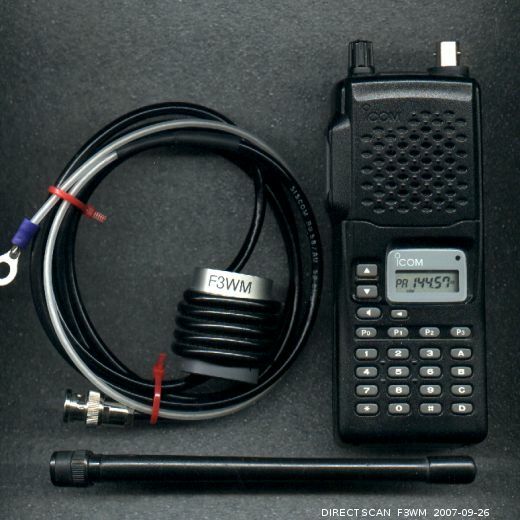 The hand held transceivers are very usefull for portable operation. They are all afflicted by a common shortcoming : their sausage type antenna is very inefficient. 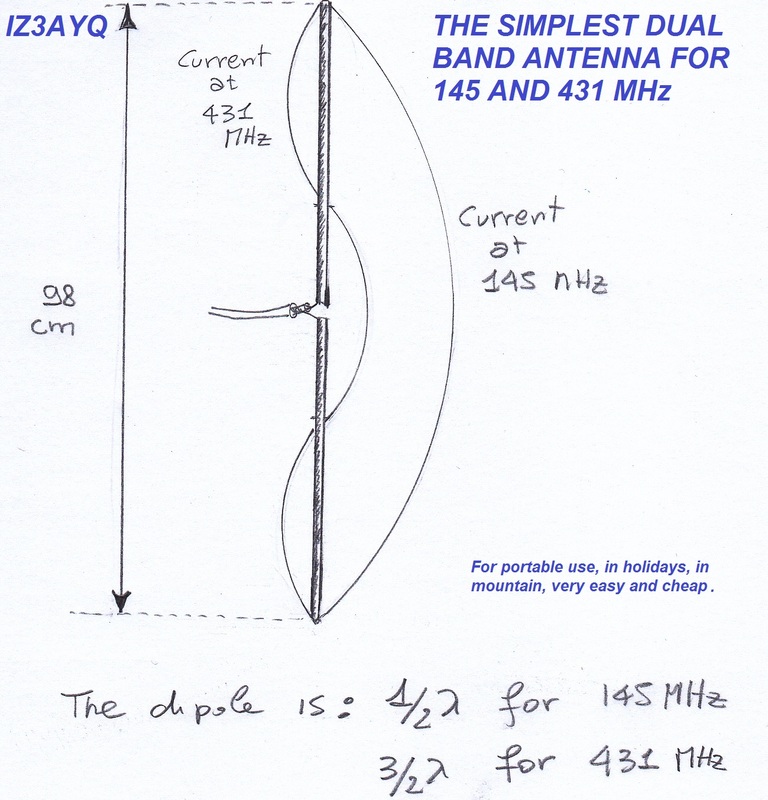 A simple dipole will make better. 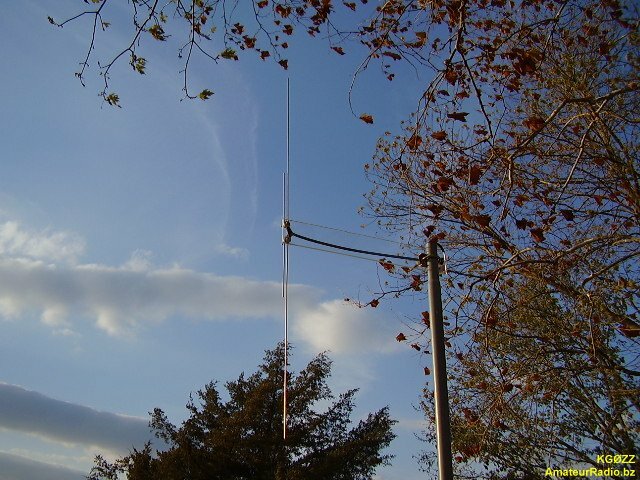 Here is a 2 meter (146 Mhz) J-Pole antenna that is inexpensive, and easy to build. I use 3/4 inch copper pipe, and the associated fittings necessary. 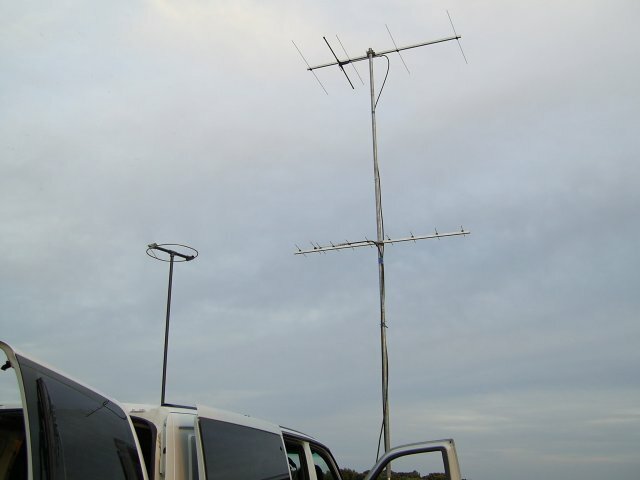 This easy to build dual band VHF/UHF antenna makes a great project for the new ham that is ready to get on the 2 meter and 70 centimeter amateur radio bands. 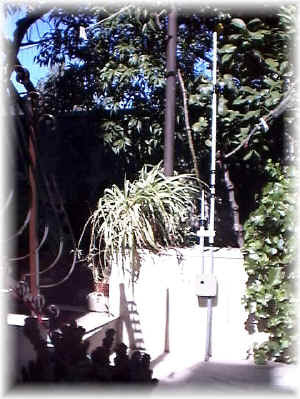 A number of years ago, I build a J-Pole antenna from some scrap aluminum tubing and a 5-foot stick of TV mast. The antenna tuned easily, and operated well for a few years until nature did it in. VHF incognito! Here’s a 2 meter antenna your neighbors won’t recognize. 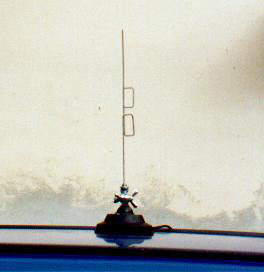 Why settle for the performance your rubber duck antenna offers? Build this portable J-pole and boost your signal for next to nothing! This easy to build antenna works well for satellite or terrestrial communication, horizontal or vertically polarized. Ebbene sì, ne ho provata un'altra! Dopo tanti e fruttuosi esperimenti svolti sulle varie bande HF con le antenne a carico lineare, ho voluto provare che effetto si poteva avere in banda 144 Mhz. 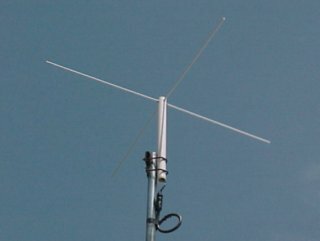 L'auteur de cette antenne est G2BCX,il s'agit d'un dipôle 1/2 onde replié, alimenté à sa base par une ligne 1/4 onde. If you're a hamand bicycling nut, you know that there are many good reasons for going mobile on your two-wheeler with safety topping the list. This month I decided to build a 2 meter 5/4 wave antenna. This antenna is unique in that it is enclosed entirely in 3/4" PVC which makes the design a little more complicated. Need a better antenna for your hand-held radio? Here's the answer. No loading coils - inexpensive - easy to build. Does that sound like the 5/8-wl antenna you've been wanting to build? You've got it now! Every ham likely has made a 2 meter antenna from a discarded cookie can or a pizza pan. But how well do these perform? A close look at this familiar “make-shift” antenna may surprise you. De j antenne is een eenvoudige en makkelijk zelf te maken antenne die nog goed werkt ook. De 2 meter antenne heeft bij mij al vanaf 1981 op de mast gestaan en heeft alle stormen die er sindsdien geweest zijn onbeschadigd overleefd. De LR antenne is in feite een dubbele J antenne die zowel horizontaal als verticaal gebruikt kan worden. Omdat deze antenne 2 halve golf stralers heeft is er een winst van 2,5 DB ten opzichte van de J antenne. This horizontal “slot” antenna, cut into the reflector of a TV dish, is both the master of disguise and high in performance. This antenna was built after a surprise greeting upon arriving on site to repair a low power radio telemetry system "Why have you come? I told them the antenna was stolen and have not had the time to replace it". Here’s a base station antenna you can easily build for 146, 220 or 440 MHz. Performance is equal to a J-pole, but it’s smaller, less obtrusive and more weatherproof. If you need a simple, strong and efficient atenna for 145 mhz, you need a J-pole; I think it's the best antenna for newcomers because it has better performance than a GP and is easy to bulid; moreover it's electrically gronded. Not the bathtub kind . 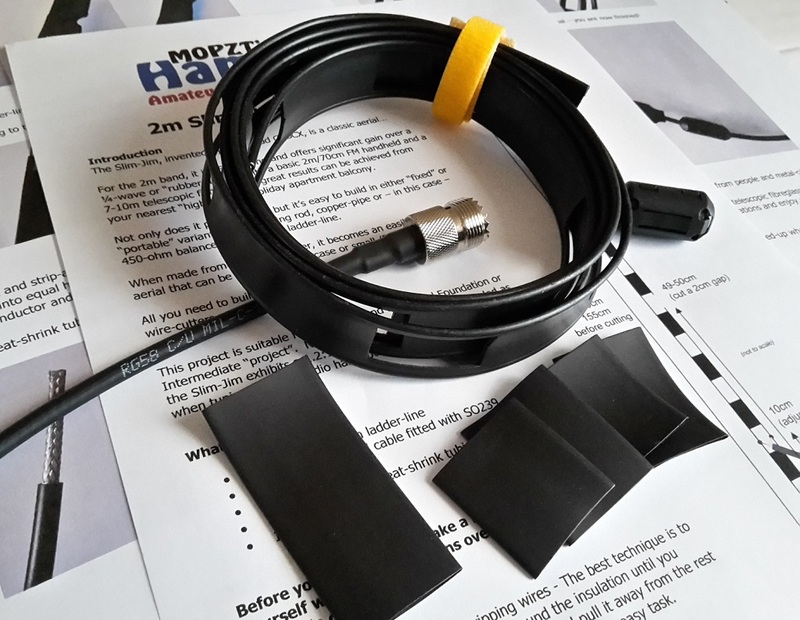 . . the kind you stick on an H-T. For a few dollars and a couple of hours of fun, you can roll your own 2-meter rubber duckies that will likely perform better than many commercial units. Op het dak van mijn vorige auto heeft gedurende een paar jaar een magneetvoet gestaan. Toen ik het voertuig ging inruilen bleek de lak op de plek waar de voet had gestaan te zijn verkleurd. I constructed this antenna by 3/8th thick aluminium tubes and I selected the element spacing angle of 90 degrees (It can be 120 degrees or 60 degrees, but the radiation pattern will change). Lots of people are building this antenna! One fellow even improved upon it by making the elements out of aluminum - inside a 3/4" PVC pipe -- see QST August 06. This handy and cheap portable dipole can be folded and backpacked, carried in use, and adjusted to a very wide range of frequencies. Note: This is a low power antenna, meant to be used close the body at 5 watts or less. This antenna is similar in construction to the 2-meter OFC sleeve dipole I built over 8 years ago, but it is a simple center-fed dipole. 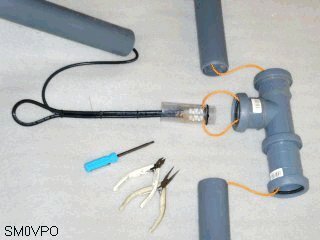 I used 1″ thin-wall PVC pipe, aluminum tape, and RG-8X coax. Slim-Jim is easy to built, no radial 145Mhz antenna. It has almost equal gain of a 5/8 lambda and much higher gain than 1/4 lambda whip. To build the "VPO-le" (pun intended) antenna all you need is four small panel pins (nails) and a bit of wood. You should be able to build and test this antenna in less than 20 minutes. It has a gain of about +2dBd (+4.5dBi). It is best mounted on a broom handle, or similar. 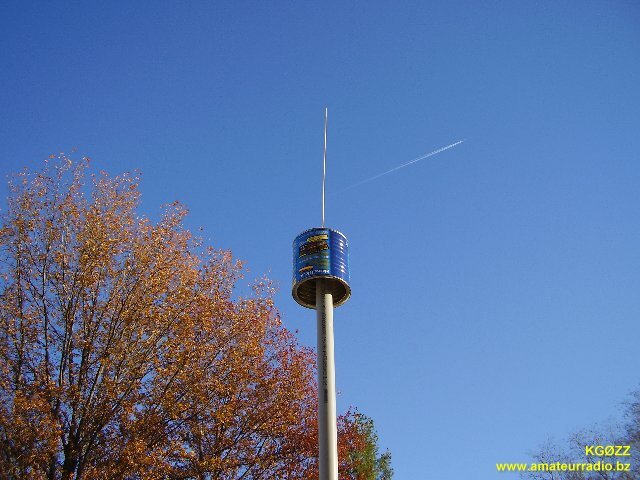 The coffee can antenna is actually a sleeve dipole antenna made using a large coffee can, or other similar size tin can, in place of using radials like that of a ground plane antenna or the other half of a dipole element. Searching for an inexpensive, high-performance dual-band base antenna for VHF and UHF? 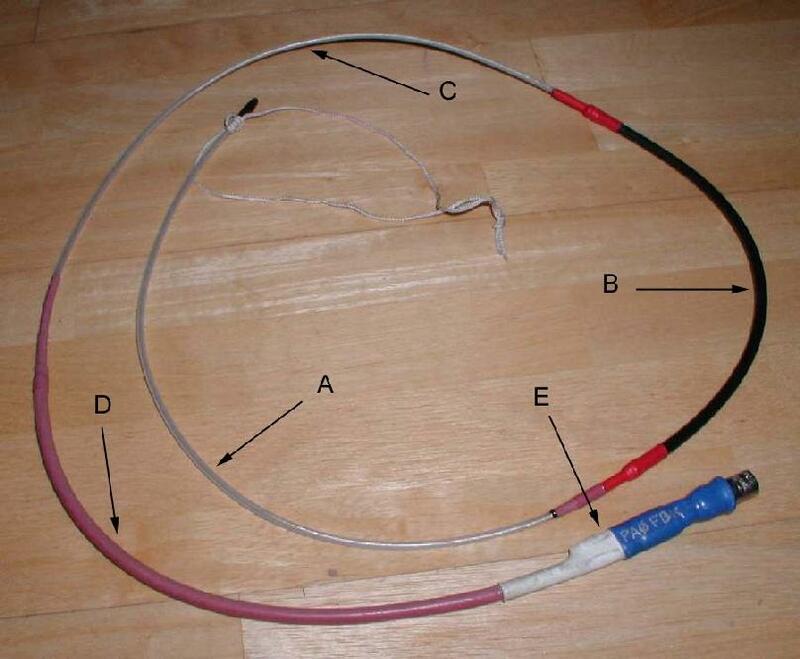 Build a simple antenna that uses a single feed line for less than $10. 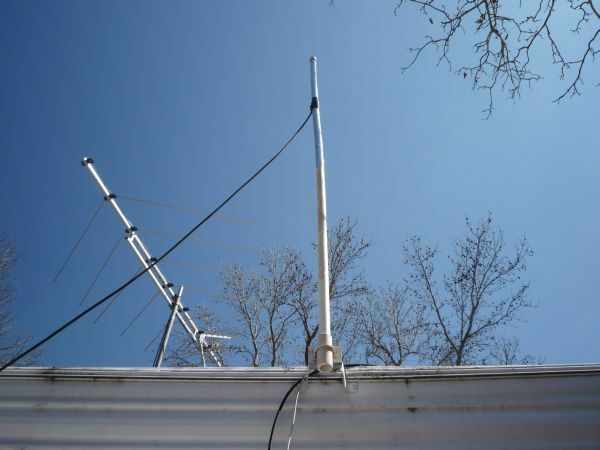 Here's an easy to build VHF base-=station antenna that works equally well toward the horizon or overhead. 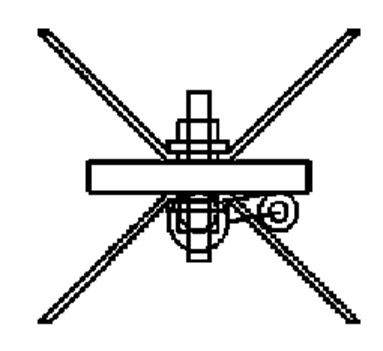 This antenna is no more than two perpendicular dipoles dephased 90 degrees to produce an omnidirectional pattern. It also seems to be very easy to construct, so this was the antenna chosen. 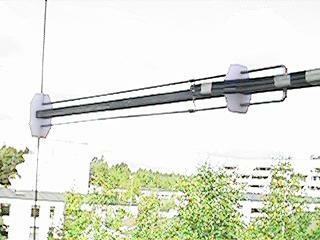 With performance close to that of full sized antennas, these small helical antennas are low in profile but high in efficiency. I used for this antenna aluminium tubing of 10mm diameter. Or you can use a brass rod of about 7mm diameter. The top one is a strong copper (brass) wire of 5 to 7 mm diameter soldered directly to the coil and mounted to the PVC isolator to give a strong construction.